The Deerfield Hall reconstruction and addition at University of Toronto Mississauga (UTM) marks the first phase of the greater North Building Reconstruction project, helping to better accommodate the growth in student enrollment. As part of the design team, our expertise in structural engineering resulted in an award-winning design for this new campus facility. This design-build, multi-phase project replaces and expands upon the existing North Building’s footprint and improves the quality of space for students and faculty with upgraded space for theatre rehearsals, classrooms, computer labs, offices, research facilities, informal studying spaces and expanded food services. 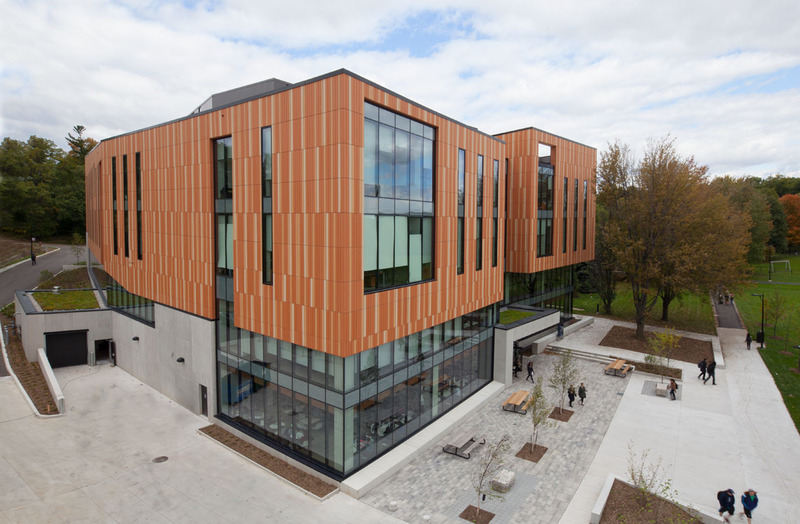 Respecting UTM’s commitment to environmental sustainability, this project incorporates sustainable design features including energy-efficient lighting and green roofs, with the goal to achieve LEED Silver certification.